Do you have the passion to cook? Then learn from the best! 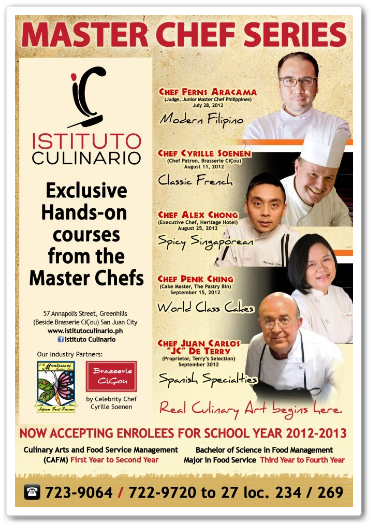 Istituto Culinario is now accepting enrolees for school year 2012-2013.